All homes currently listed for sale in the zip code 90035 as of 04/18/2019 are shown below. You can change the search criteria at any time by pressing the 'Change Search' button below. 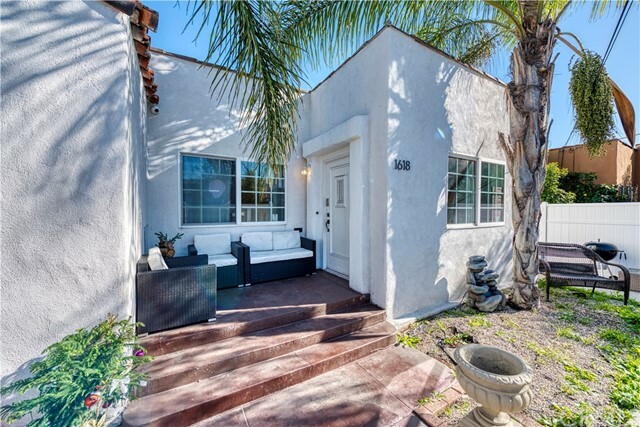 "QUINTESSENTIAL 1934 SPANISH COLONIAL REVIVAL LOCATED MID-BLOCK IN HIGHLY DESIRED SOUTH CARTHAY HPOZ. 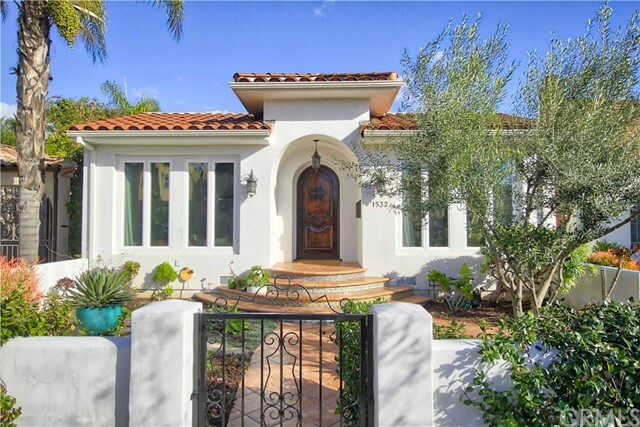 GATED COURTYARD ENTRY WELCOMES YOU TO THIS SPECIAL HOME BOASTING OUTSTANDING ARCHITECTURAL AND VINTAGE DETAILS. THE GRACIOUS HIGH CEILINGED ENTRY LEADS TO THE GRAND LIVING ROOM WITH HANDSOME FIREPLACE AND MAGNIFICENT STAINED GLASS WINDOW. THE ELEGANT DINING ROOM OFFERS AMPLE SPACE FOR ENTERTAINING WITH A COURTYARD VIEW. THE LARGE GALLEY KITCHEN WITH BREAKFAST AREA HAS BEEN BEAUTIFULLY UPDATED BLENDING CLASSIC STYLE WITH MODERN CONVENIENCE. THERE IS AN OVERSIZED MASTER BEDROOM WITH EN SUITE MASTER BATH AND WALK IN CLOSET ALONG WITH TWO ADDITIONAL LARGE BEDROOMS AND A FANTASTIC, ORIGINAL BATH WITH PERIOD FIXTURES AND TILE. A LIGHT-FILLED DEN OPENS OUT TO A BEAUTIFUL BACKYARD WITH POOL AND SPA. THE FINISHED GARAGE COULD BE A WONDERFUL OFFICE OR POSSIBLE ADU. AS AN ADDED BONUS, PROPERTY IS UNDER A MILLS ACT CONTRACT OFFERING SIGNIFICANT PROPERTY TAX SAVINGS." "Luxury living awaits you in this spacious 2 bedroom unit that is centrally located mere moments from trendy shops and restaurants. First floor unit, up one level from ground floor entrance. Unit was rebuilt in 2010 with new plumbing fixtures, cabinets, closets and wiring as well as the ceiling, bathrooms and kitchen countertops. Natural light floods throughout the open-concept living area by day and in the evenings, enjoy warmth by the fireplace or star gaze on the balcony. Master bedroom offers ensuite luxury bathroom and second bedroom gives you the option as a great guest room, office or study. Subterranean community, gated parking garage with assigned tandem parking spaces. Enjoy every moment living here at Roxbury Drive in this sophisticated contemporary home." "LOCATION + VIEWS = OPPORTUNITY! This bright & spacious 3 bedroom CORNER Penthouse with breathtaking views is one of a kind. The pristine views of the Hollywood & the Century City skyline against a stunning sunset backdrop make this unit truly picturesque. Unit boasts an open floor plan, high ceilings with LED custom cove lights, granite counter tops, a kosher kitchen featuring double sinks, new double dishwashers, & newly upgraded appliances. Buyers will appreciate the genuine hardwood floors, in-unit washer and dryer, smart home technology, & custom finishes. Its private balcony overlooks the Hollywood sign & beautiful city lights. Building amenities include a recreation room, guest parking, & controlled security access into the building. 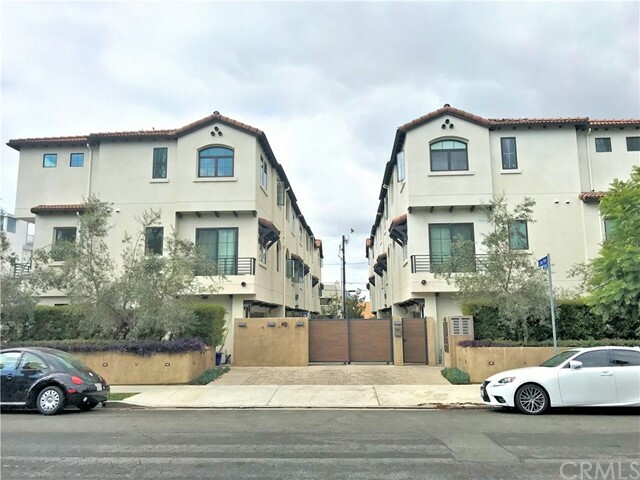 Centrally located in prime Beverlywood area & conveniently close to Beverly Hills & Century City, situates this unit just steps away from restaurants, shops and synagogues. Don't miss your opportunity at this, the most coveted real estate gem!" 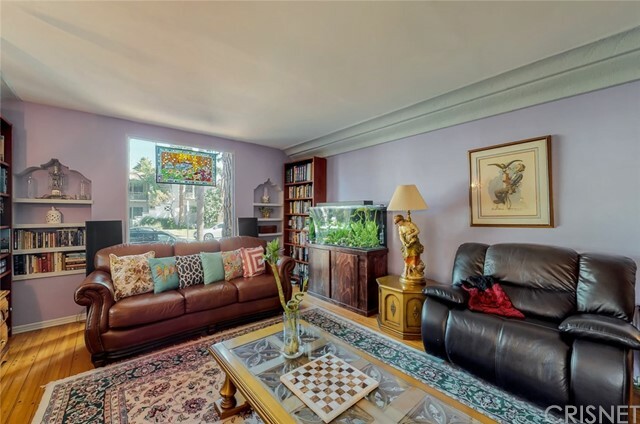 "No expense was spared on this light-filled, front-facing condominium with only one common wall - located just one block south of Roxbury Park and minutes to Century City and Beverly Hills dining and shopping. The double-door entry welcomes you into a well-designed home featuring a large living room and formal dining area which open onto a spacious balcony. Lovely kitchen features granite counters, stainless steel appliances, and a spacious eating area. Two bedroom suites on opposite sides of the home provide for maximum privacy. Gorgeous custom baths, many closets, a large laundry room with pantry, and extra storage unit complete this special residence. Details include elegant base and crown mouldings, wainscoting, built-in cabinetry, plantation shutters, recessed lights, speaker system and custom paint. Building with secure entry offers a pool, spa and exercise room. This one is a must see!" "Come home to this lovely Beverlywood condo, situated in a prime location just moments from local shops, restaurants and entertainment! Fall in love with the open and spacious floorplan beautifully accented by grand windows welcoming an abundance of natural light. Unwind in the living room featuring a warm fireplace and large glass pane door to the romantic patio. Channel your inner chef in the gourmet kitchen with stainless steel appliances, eat-in breakfast bar, quartz counters and chic subway tile backsplash. The expansive master boasts cove ceilings, a full length sliding mirror closet, glass French doors to a private balcony and luxurious bath with floor-to-ceiling marble tile walls, shower, dual sinks and relaxing soaker tub. Generous guest bedroom features an additional balcony. In the heart of it all, this Beverlywood gem won't last long!"